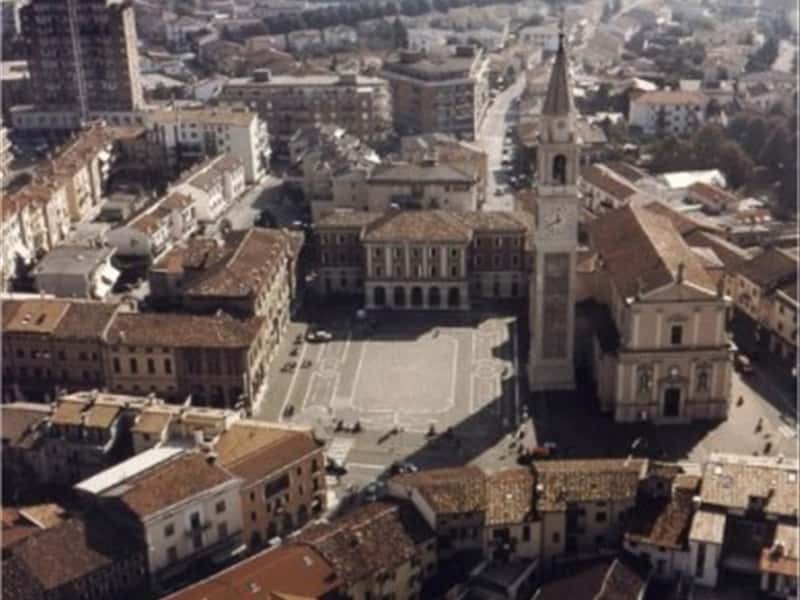 The town's name derives from the name of a church dedicated to St. Boniface, of which today there are no remains, built by the Marquis of Milo Motta and destroyed in 1243 by Ezzelino Romano. Municipality in the province of Verona, located on the border with the province of Vicenza, its territories are crossed by the stream Tramigna that flows into the Alpone. Scholars attest that there the Motta highlands were already inhabited since ancient times. The Romans, who colonized the area, have left considerable traces of their presence, with a major road network, including Via Postumia, and the subdivision of the farmlands in centuries. After the Fall of Rome, the territories was subject to the conquest of the Barbarians, including the Lombards. The Benedictines, who settled here, between the VI and VII centuries, built the Abbey of Villanova, and with the help of the local population, reclaimed a large marsh area and made it suitable for cultivation. The area belonged to the Marquis Milo and his descendants for about two hundred years. Under the domain of the Della Scala, the territory was assigned to the Captaincy of Soave and became the seat of the Vicariate. Under Venetian rule, trade intensified and the town grew considerably. This town web page has been visited 28,371 times.